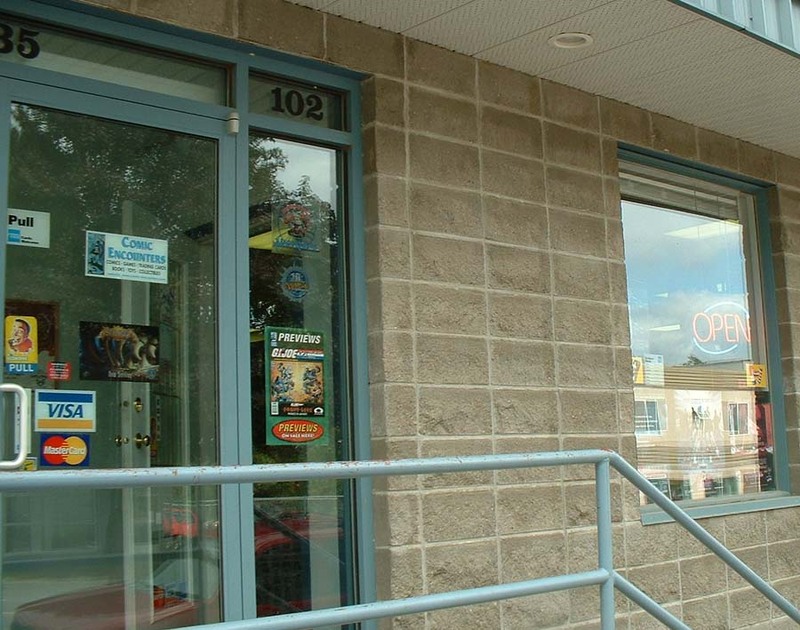 These are pictures of our storefront here in Terrace. 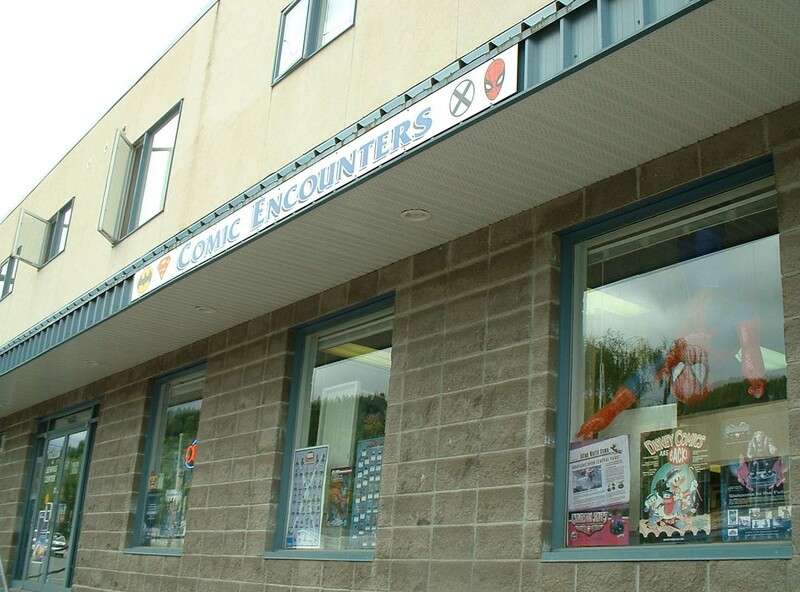 We have been operating here in Terrace for 26 years, and moved to this location 14 years ago because the store needed more space. 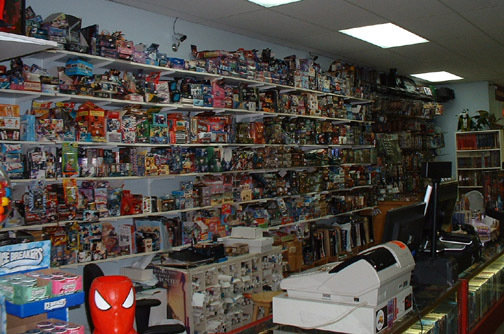 We currently have 2800 square feet of comics, games, cards, books and other fun stuff, as well as 1000 square feet of gaming area and another 1800 square feet of warehouse.......we stock a lot!! 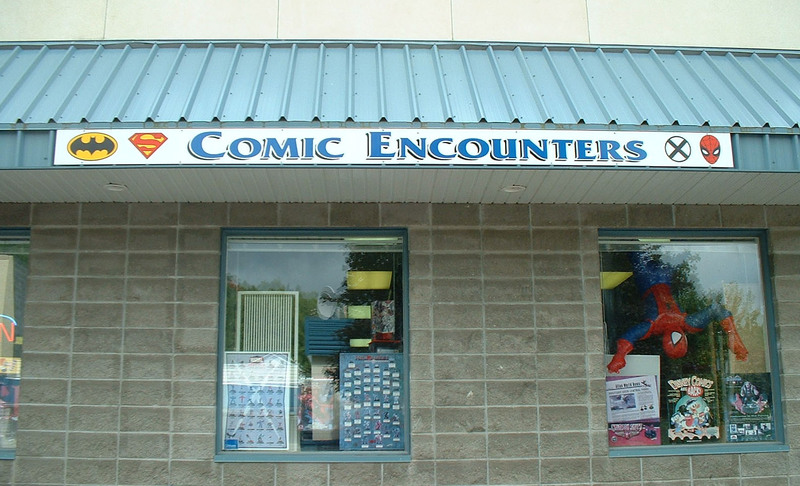 We have an extensive selection of new comics and back issues. 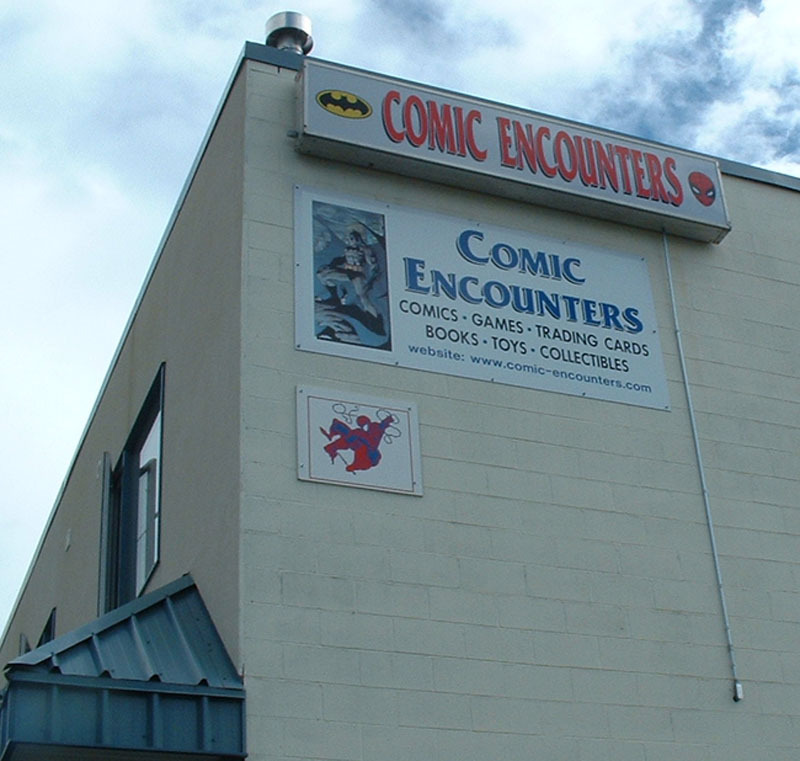 We carry books from publishers such as DC, Marvel, IDW, Image, Dark Horse, Chapterhouse and others. New comics arrive on Wednesdays most weeks. 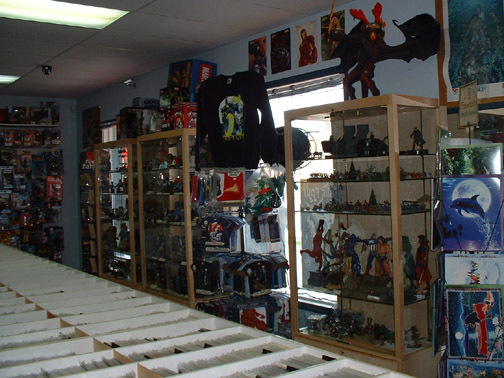 We have a large selection of board games and role-playing games. 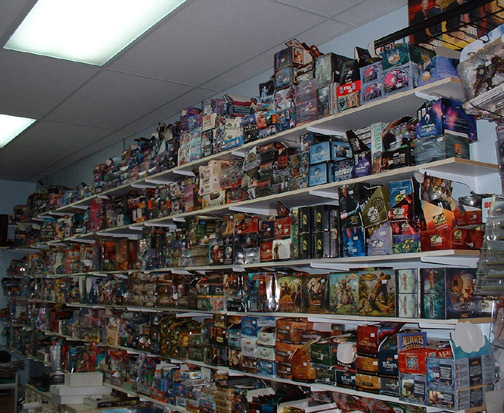 We carry games from publishers such as Wizards of the Coast, Fantasy Flight, Wizkids, ZMan, RioGrande, Mayfair, Steve Jackson Games, Days of Wonder, AEG, and many others. We carry a full line of miniatures from Games Workshop for Warhammer 40000. 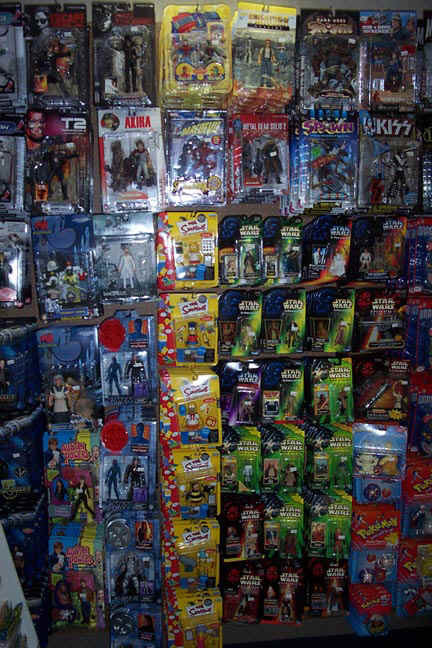 We also have our "wall of toys" with many Star Wars, Simpsons, GI Joe, Hockey, and other toys. 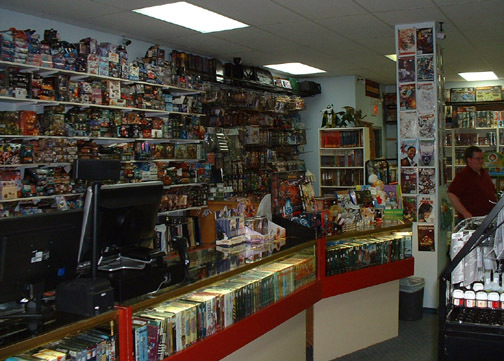 Behind our counter we have many types of trading cards. Some for games such as Magic the Gathering, Warcraft, Pokemon, Star Wars or Babylon 5, others which are just for collecting such as art cards, tv cards, etc. CLICK HERE IF YOU WISH TO SEE SOME PICTURES OF SOME EVENTS AND TOURNAMENTS WHICH WE HAVE HOSTED.